If you’re after a good example of something ‘ubiquitous’, how about the use of hashtags in brand marketing? These days the humble hashtag is everywhere, but a couple of recent conversations got me thinking that the various ways of using them across different social networks was worthy of a post. Social video, pharma’s best and worst content format ??? Video has arguably become the dominant format across social media in the last 18 months, with each social network evolving their platform’s capabilities in this space. From Instagram video Stories to Facebook Live and even native LinkedIn video, it’s a hot topic. Furthermore, and of real interest for brands and publishers, video offers the added bonus of being one of very few digital formats to offer a sense of how much time was spent with it. Although, that’s not to say measuring it isn’t without its challenges. This post outlines what can make measuring video tricky, and suggests some approaches to simplify. When we talk about “videos” there are so many variations to bear in mind. First off, a video can of course be of any duration. Comparing a five-second video with a four-minute piece is unlikely to offer a fair comparison. (There are of course many other formats, and Facebook noticeably is now getting into the longer form space with its Watch tab feature). Finally, and most importantly when it comes to assessing performance, we must consider different objectives. Was the video trying to get people to click through to a website? Was it to encourage people to tell their friends about it and, by extension, the brand? Facebook provides some measures for organic video (e.g. 3 sec, 10 sec, 95% completion), but then further metrics are only available for paid videos, which makes it more difficult to compare apples with apples. 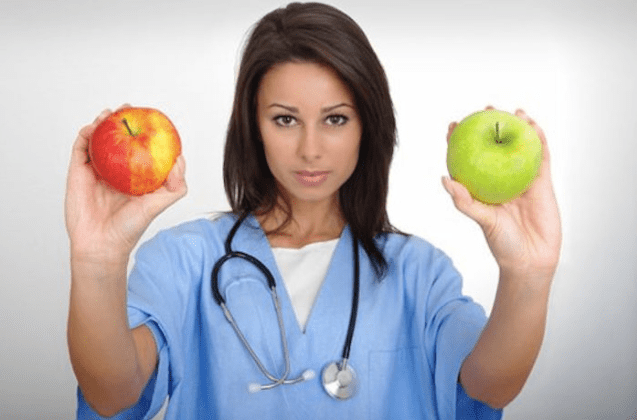 But look, a doctor comparing apples! Having all of these options means you can get right into the detail of what happened around an individual video. However, when you start trying to take more of a macro view, the amount of variables can become problematic. We’ve already discussed different objectives, different social networks, paid vs organic, video length and a host of different metrics… and we’ve not even touched on different audience groups! To have a chance of seeing the wood for the trees and understanding how well different types of video are performing, some sort of barometer or benchmark is required. The above might be considered too simplistic. Or you might feel that different completion percentages are appropriate for longer/shorter pieces of content. But hopefully what it can do is free you from drowning in data by trying to assess too many variables… and subsequently extracting no insights. Beyond the above approach, you’ll of course want to run more in-depth analysis around the way different video styles are performing (e.g. person speaking to camera, vs hands in shot demonstration). 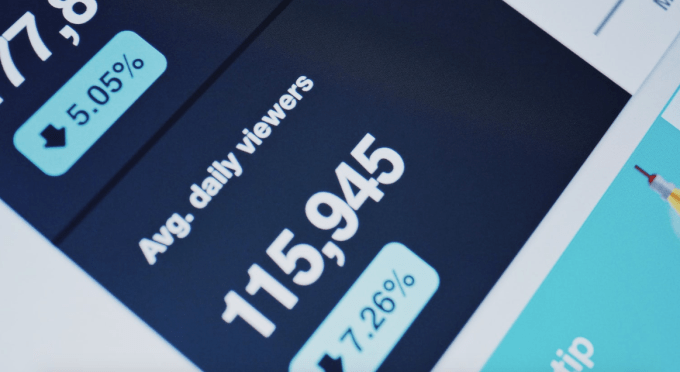 By filtering on the style of video content first and then analysing performance across your chosen metrics should help you extract some actionable insights. Is video critical to your content marketing plan? Which metrics do you use for measuring it? Custom Audiences: Pharma’s Social Saviour? We know the pharma industry can present robust compliancy challenges for marketers attempting to reach audiences online. Fortunately, in their efforts to monetise themselves through their ‘custom audience’ features, the social networks have given the industry a useful means of addressing this. This post explores how these custom audience features have developed, what they include and best practice advice for pharmaceutical marketers. In the late noughties, Facebook and the other major social networks were aware they needed to show advertisers clearer ROI in order to demonstrate their worth as a serious alternative to established media. As the new kid on the block, there was arguably greater scrutiny and ‘burden of proof’ to demonstrate this than with traditional channels. 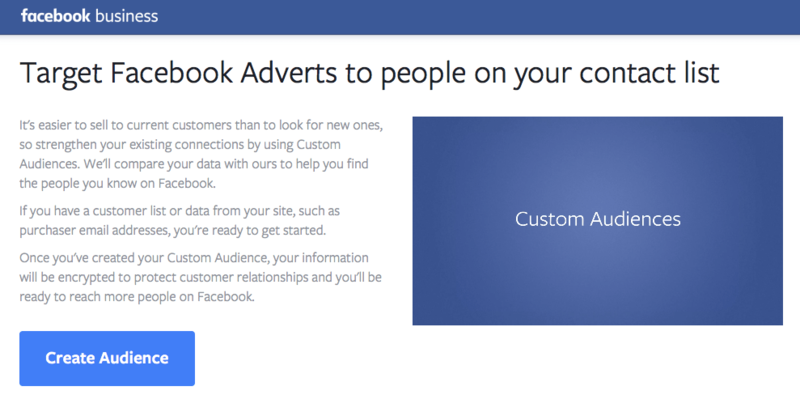 To address the challenge, Facebook launched ‘Custom Audiences’ in 2012. Twitter followed suit with ‘Tailored Audiences’ (in 2013) and LinkedIn with ‘Matched Audiences’ (2017). Each of these effectively offers the same thing. 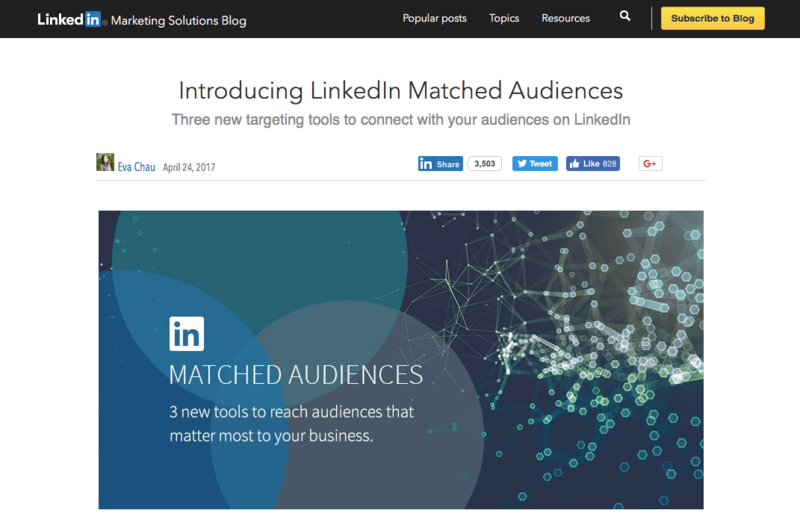 The theory behind Custom/Tailored/Matched Audiences is very simple – enable organisations to target social network publishing to customer specific segments. This is done by matching the profile an organisation holds about a customer with that customer’s social media profile(s) using data points, such as email address or mobile phone number. The organisation can dice and slice its customer base as it wants (e.g. by specialty, seniority) and share great content – relevant, timely, actionable – to them. Clearly this raises a number of data protection points, which the social networks had to address. These include processes to stop the social networks from actually seeing which customers are being targeted and requiring a minimum size of audience to target. Significantly, these products have helped social networks move from being ‘just another channel for reaching people’ to a starting point for sophisticated customer relationship management. Consequently, you will need the explicit consent of your target audience to serve them content using Custom Audiences (regardless of industry this is the right approach to take). Ultimately this means if you’ve established a diligent process for using Custom Audiences, you’ll have pharma compliance-proofed it. Handy. The way in which you actually capture those permissions has been discussed in our content marketing article, and we’ll discuss it again in future posts. But in terms of persuading people that it’s worth their while to opt-in… well, a promise of contextual, timely and useful content is a good place to start! These Custom Audience products have evolved significantly over time, becoming much more straightforward to use than when they first launched. However, regardless of how simple they are to use, unless you have some interesting customer data upon which to create an audience segment, you’ll be limited to what you can do. Let’s assume you’ve collated a list of healthcare professionals (HCPs) who’ve all opted in. Now, what else do you know about this group that you can use to segment and serve up different content? This presents an interesting question for the point of data collection. What additional information will you ask for? What’s the minimum viable amount while still having enough to make meaningful segmentation? Like most things, it’s important to have some clear objectives before you begin. None of this is to say that using targeted audiences is all plain sailing. The matching process will never be close to 100%. In fact, depending on how much information you’ve collated about your audience, it might be significantly less. To be clear, that doesn’t mean you might reach the wrong people, just that you won’t reach all of the people that you’d like to. What I really like about using targeted audiences is the ability to tell each audience a better story. By building a picture of both who they are and what they do (i.e. the content they respond to and engage with most) you can get smart with what you tell them next, hopefully building a stronger relationship. We’ll also talk more about website retargeting in future posts. Now that this audience targeting feature is available across Facebook, Twitter and LinkedIn, pharmaceutical marketers have many options. In targeting HCPs, Twitter and LinkedIn are pharma’s preferred networks; however, given the scale and ubiquity of Facebook it shouldn’t be ruled out. Of course, every sub-section of an industry and every audience is different, so a test-and-optimise approach is advised. Start small; identify what works and what doesn’t; do less of what doesn’t and more of what does. Much of this post has been about the benefit of reaching target audiences, in the channels they’re using, with contextually relevant and valuable content. Content that addresses the needs of the audience first and supports business/brand goals second. This is important, because when I see companies, or brands publishing irrelevant, unhelpful, self-serving content, they’re in danger of brand dilution. By this I mean, each piece of poorly targeted/frequently repeated/boring content erodes audience interest/trust/consideration for that brand (even if just a tiny amount). Respect your audience’s time, inbox and feeds. Offer them great content that’s relevant, timely and actionable. Put their needs first. That’s how you build relationships, earn their trust, and enhance your brand value. Have you considered using these types of targeting options through social media? Do you see content in your own newsfeed from a brand you shop with that feels hyper-relevant? Please share your experiences and comments below.